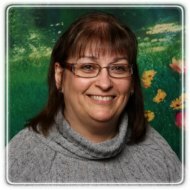 Edmonton Therapist: Doreen Foy - Therapist T5N 3W1. Send A Message To Doreen. Session Fees: Fees are $180 to $200 per one-hour session. I also offer a sliding scale fee for those who do not have benefit plan. For those who have a health benefit plan, I am now listed as a service provider on most plans and am also able to direct bill. I draw on my training in Cognitive Behavioral Therapy to help you change or reduce those thought patterns that cause self-defeating behaviors and painful emotions such as depression, anxiety and anger. I use Stress Reduction Techniques (Relaxation and Visualization Exercises); Expressive Therapy techniques such as role playing to assist those who have difficulty expressing their emotions. Do things seem so difficult in your relationship or in your family that there are times when you just want to give up? Or are you happy with in your current relationship but want to improve or enhance it? Do you want your relationship or your family to function better so that there is greater harmony, intimacy, contentment and happiness? If you want to better achieve these results, I can help. I am a caring, warm and skilled psychologist with specific and extensive training and experience in marriage and family therapy. I am able to provide a variety of strategies in helping couples and families to achieve better communication and understanding, to reduce conflict and to start working together instead of against each other. I use effective therapeutic tools from different approaches which I also teach clients to use in their home. I work with both traditional and non-traditional couples and families and across generations and cultures. I am available for a free phone consultation to discuss your therapy needs and to see if I am the right therapist for you.